Cerebrovascular accident (CVA) or stroke is the third major cause of death and impairment in the Western world. The high number of resultant consequences the CVA causes makes adaptation to this chronic disease an extremely complex and distressing process. Coping with the onset of a stroke is a multidimensional proceeding in which physiological consequences of the brain damage can interact with psychological states. 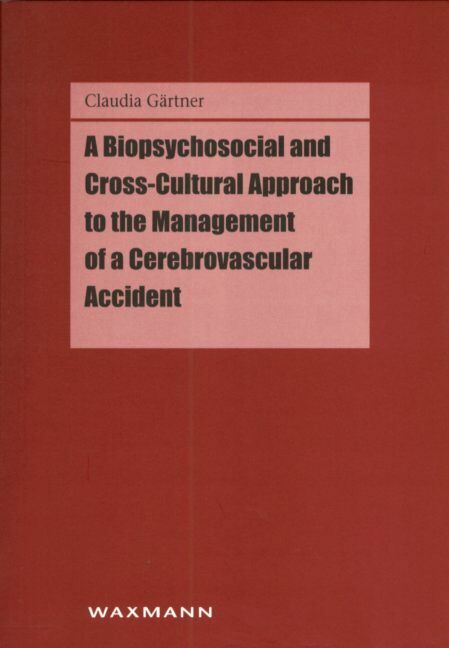 In the present book the author focuses on the coping behavior of German and American CVA patients from a biopsychosocial and cross-cultural perspective. Besides the discussion of negative emotional states and beneficial personality disposition, a special emphasis is given on the effects of lateralization of the brain damage on social support and the influence of cultural issues on the perception of illness and illness related coping behavior.